We’ve come a long way in the eight years since Bitcoin’s original release. Back in 2009, when the pseudonymous Satoshi Nakamoto launched the cryptographically verified digital asset, it was just a curiosity. With time, though, new uses have been found for it, from buying drugs, to transferring money near-instantaneously across the globe. 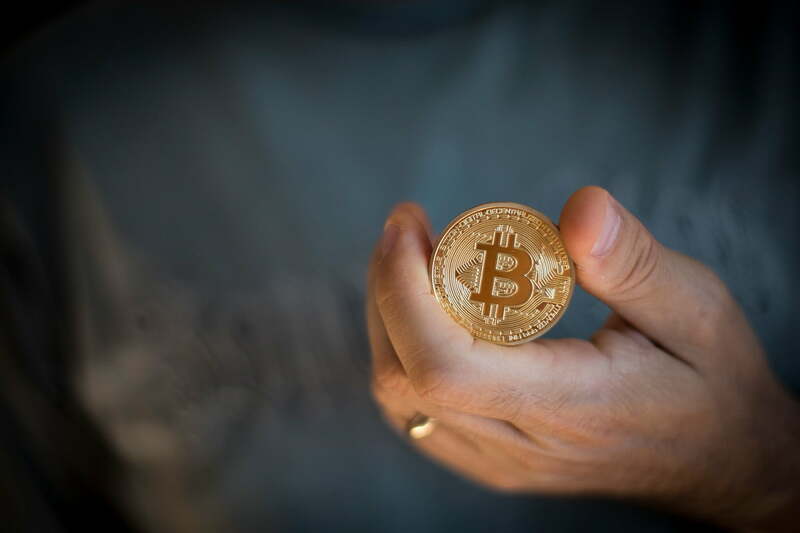 Its value has peaked and troughed to reach considerable worth today – right now, a single Bitcoin is worth almost $2,800, close to its record high of $2,964. The success of Bitcoin has inspired many imitators. That includes the classics, like Litecoin and Dogecoin, along with more contemporary and serious alternatives, like Ethereum and Zcash. They’re all subtly different, and often more volatile, than their Bitcoin foundation. There’s now more than 900 cryptocurrencies in the wild. While many of them hog attention with their potential for larger earnings on less upfront investment, differing features, or philosophy, their futures still rest in the hands of that cryptocurrency created way back in 2009. They are all built off the same core technology as Bitcoin, and susceptible to the same whims of human nature. There’s many “alt coins,” most with a unique spin. Some use different cryptographic hash functions, others build in smart contracting functionality, while others look to be more centralized. Yet at their core, they are all built around similar technology to Bitcoin, which is partly why their pasts and futures have been, and are, so dependent on the first mainstream cryptocurrency. Although there have been some stumbling blocks over the years, with minor changes required to keep Bitcoin functioning as it should, it’s organic growth, and the lack of a desire to drive profit for its creators, that make Bitcoin so unique. A quick look at the value charts shows that Bitcoin is leaps and bounds ahead of the competition. Its value was, at the time this article was published, four times greater than the nearest competition. That suggests a confidence in the long-standing currency that is far grander than its contemporaries. Part of that comes from its very value, which makes large fluctuations in its worth less likely. It’s a sturdier investment than many other currencies – though that doesn’t mean it isn’t susceptible to fluctuation. Its price today is close to double what it was at the start of the year. Bitcoin also acts as the face of the industry. It’s the original, most publicized, and close to a household name. That means first time investors are likely to consider it over other, more obscure investments. In turn, this popularity gives Bitcoin influence over its competitors. When the world sees Bitcoin doing well, other currencies usually benefits, too. That may leave graphics card manufacturers shaking in their boots. Predicting the future appreciation of Bitcoin is difficult. As we have seen over the past couple of years, it can tumble back down following major world events. China’s decision to ban financial institutions from using Bitcoin in 2013 saw the currency nearly halve in value over a few weeks. Hacks of major Bitcoin exchange services, and speculative bubbles, have led to other temporary downturns in its fortunes. Of course, there’s always the competition looking to use one of these disruptions to make an attempt on the crown. The latest is Bitcoin Cash, a “hard-fork” from Bitcoin, designed to offer larger capacity than its predecessor to reduce transaction fees. Does it stand to find success as an alternative top-tier currency where others have failed? The only difference with Bitcoin Cash, he claims, is that it’s the first currency to attempt to use the original Bitcoin name. Although Bitcoin Cash has quickly become one of the more valuable cryptocurrencies ($400 at the time of writing), Vortex points out that it does not have much support. “It only has two developers [and] is highly centralized and controlled. The core [Bitcoin] developers want nothing to do with it,” he said. For the sake of argument, though, let’s assume Bitcoin Cash is successful, or some major calamity caused Bitcoin to fail and fall from grace. What would happen to the market then? Others, like BitBounce’s CEO, believe that the market itself would recover much more quickly, and that some other coin that would pick up the reins where Bitcoin left off. Although Bitcoin’s future remains a little uncertain, we can draw something from its past. As the cryptocurrency with the greatest longevity and the most proven track record, we use it to get an idea of what may happen to its younger competitors as they grow and mature. At the time of writing, Ethereum is one of the more popular, vogue currencies, and in terms of its market capital, is second only to Bitcoin, even if it does trail it by a significant margin. Though it has suffered a recent downturn in value, it reached a new high less than a month ago, peaking just shy of $400 per Ether. If we look at a graph of its growth and fall and compare that to Bitcoin’s earliest peaks in 2013, the similarities are hard to ignore. The only difference is that Ether has yet to recover in quite the same manner as Bitcoin. While there are no guarantees of such a thing happening, Bitbounce’s Dennis believes it will soon. “Bitcoin has repeatedly appreciated to an all-time high and then corrected to a lower price for a while, before eventually reaching an even greater high. I see similar trends with other younger currencies,” he told DigitalTrends. Indeed, Dennis sees those currencies one day even eclipsing that of Bitcoin. The outcome of other currencies is far less certain. Vortex, however, disagrees. While he believes that Bitcoin will continue to underpin cryptocurrencies and even worldwide economies in the forseeable future, the outcome of other currencies is far less certain. “Nothing is predictable,” he said, but reiterated that Bitcoin’s fortunes will be reflected in those of others currencies. While he does see that any sort of success in Bitcoin cash would be a potential indicator for more hard-fork currencies being created in the future, “that trick only works a few times” and will ultimately just bring more attention to the original currency that started it all. Bitcoin. If this rundown has peaked your interest in Bitcoin and you’re thinking of investing in it, or any other cryptocurrency yourself, make sure to read our Bitcoin first time buyer’s guide. Cryptocurrency is a complicated topic, and it pays to be prepared.